An unmissable evening for any Monty Python fan! 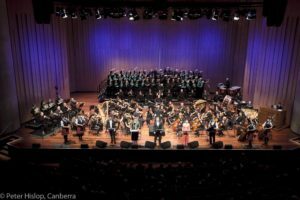 Join the Canberra Choral Society and the National Capital Orchestra for this one-night-only performance of Not The Messiah (He’s A Very Naughty Boy) a comic oratorio inspired by Monty Python’s Life of Brian. Composed by Eric Idle and Spamalot collaborator John Du Prez, you will enjoy every iconic witticism of Monty Python’s original story as told by 120+ musicians live on stage. Hear The Idea of North’s tenor Nick Begbie star in his theatrical return to the Capital as our titular hero Brian, featured alongside many of Canberra’s most popular soloists: Tobias Cole, Louise Page OAM, Demi Smith and David Pearson. 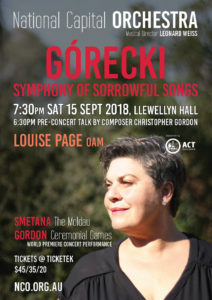 Directed by Ylaria Rogers and conducted by Leonard Weiss, you will experience the very best of Canberra talent as theatre and Classical music unite in an unforgettable performance. Culminating in Always Look on the Bright Side of Life, you won’t want to miss this uplifting theatrical sensation! Join the National Capital Orchestra and cellist Christopher Pidcock for Elgar’s timeless Cello Concerto, one of the most enduring highlights of 20th Century repertoire. The concert opens with an immediate English atmosphere in Holst’s Somerset Rhapsody, weaving together three folk melodies that evoke the iconic British countryside. Vaughan Williams’ Symphony No. 8 shows the true brilliance of one of the last century’s most iconic composers; from his exquisite pastoral sonority to the more adventurous and experimental side seen throughout his later compositions. The orchestra will perform a world premiere by Chloe Sinclair, one of Australia’s most notable up-and-coming young composers, before concluding with the serene pastoralism of Elgar’s Cello Concerto with Christopher Pidcock, one of Australia’s master cellists. 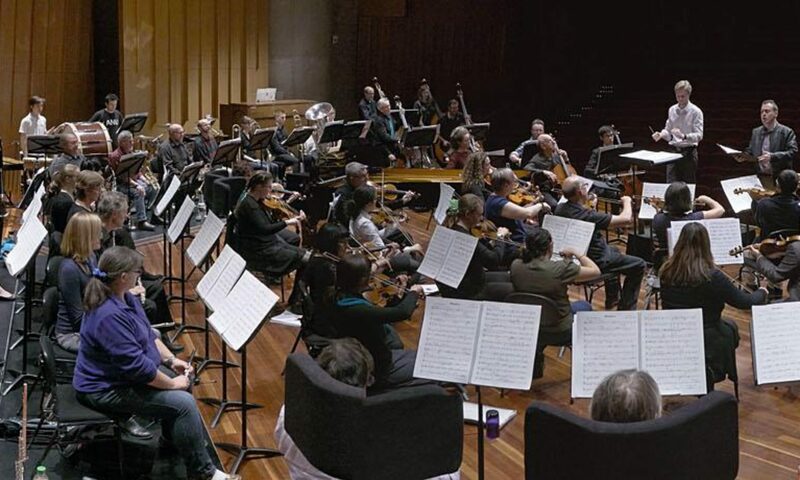 Conducted by Musical Director Leonard Weiss, you won’t want to miss the National Capital Orchestra’s showcase of these timeless pieces by England’s best-known composers! Join composer Chloe Sinclair for a pre-concert talk at 2:15pm, where she will discuss the program and what it is like to be an emerging composer. Canberra cellist Christopher Pidcock is one of Austraila’s best-known musicians and performs full-time with the Sydney Symphony Orchestra, in addition to being in high demand overseas. Christopher received a Churchill Fellowship in 2007 to study in Germany, where he performed Elgar’s Cello Concerto with the Neue Sinfonieorchester Berlin, and gave recitals at the Schumann-Haus, Euro Arts Festival (Leipzig), and the Radolfzell Summer Festival. Returning to Australia, he attended the Australian National Academy of Music on full scholarship and completed a Master of Music (Performance) degree in Sydney in 2010. In 2010–2012, Christopher studied with Hans Jørgen Jensen at Northwestern University, Chicago, before joining the Sydney Symphony Orchestra in 2012. He was also a member of the Civic Orchestra of Chicago, performing in concerts with Yo-Yo Ma, Riccardo Muti, Esa-Pekka Salonen and Jaap van Zweden. Career highlights have included the 2008 International Cello Congress (Israel), first prize in the 2007 Gisborne International Music Competition (New Zealand), European tours with the Australian Youth Orchestra (2007) and Sydney Conservatorium Chamber Orchestra (2009), as well as concertos with the Christchurch and Adelaide symphony orchestras and the Adelaide Chamber Players, and performances with Charmian Gadd and Katherine Selby. 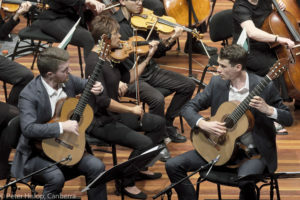 In 2010 he was a String finalist in the ABC Symphony Australia Young Performers Awards.